After a day of arts, crafts, food, wine and music, why not throw some theater in as well? A scene from "The Raincoat"
At a small-town festival like Newport’s, you can savor the aroma of flowers in full bloom, stroll among artisans’ booths, sip wine, shop at an open-air market or enjoy live music. But after the Pend Oreille Lavender Festival closes down in the evening, what can you do with your nights? Go see some plays. 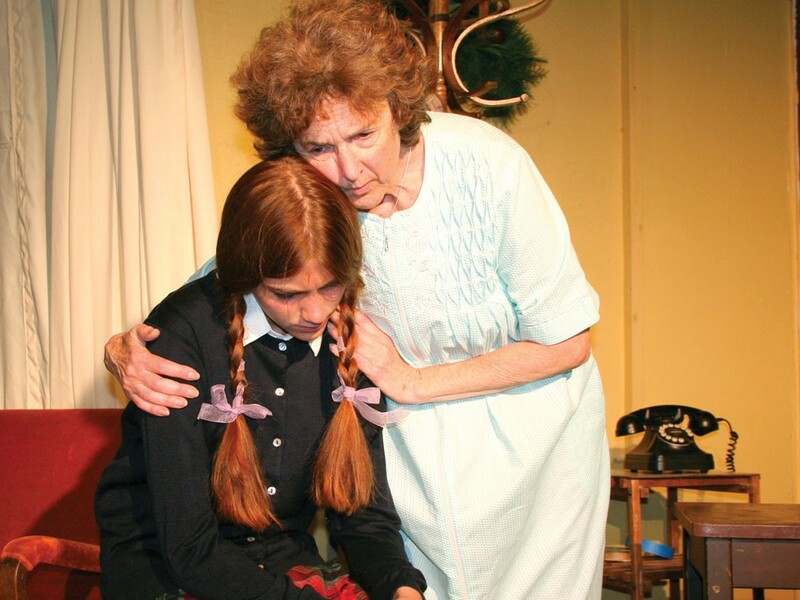 Newport’s seventh annual Lavender Festival will be joined this year by a revival of the one-act play festival that ended a three-year run back in 2001. Playwrights from Sacramento, southern Oregon, western Illinois and Chicago will join two local dramatists in having their half-hour plays produced at Newport’s Pend Oreille Playhouse. So after a day full of sniffing lavender and sampling cabernet, you can watch community theater actors and directors experimenting with brand-new scripts: three on Friday, three more on Saturday, and then the audience favorites on Sunday afternoon. Playwright Ruth Wire — who’s on the board of the Ashland Contemporary Theatre in Oregon — will present “The Raincoat,” which has already won an award in New Orleans for a staged reading. It’s a play about divorce, with the daughter torn between warring parents. In “Best Friends” — part of a three-act play by Sandpoint’s Teresa Pesce that will be produced at the Panida next February — a young woman’s cat, dog and parrot help save her from an aggressive home improvements salesman. If you drive out to the end of the Newport Highway this weekend, your first intention might be to take in the Lavender Festival. But when night falls, you can make your way to the theater too. One-Act Play Festival on Friday-Saturday, July 9-10, at 7:30 pm and Sunday, July 11, at 5 pm at Pend Oreille Playhouse, 240 N. Union Ave., Newport, Wash. Tickets: $8; $5, youth; $15, weekend pass. Visit pendoreilleplayers.org or call (509) 671-3389. For info on the concurrent Lavendar Festival, visit povlavenderfestival.com or call (509) 447-6451.